The price of blu-ray DVD players has fallen a lot recently. You might be surprised at just what you can get for less than $100 these days. Blu-ray discs can store a lot more information than standard DVDs. Which is great, because that additional info can be used to improve the quality of your video and audio playback, as well as allowing a whole host of extra features. And whilst blu-ray is still the latest form of video playback available, it has now been around for long enough that prices are starting to fall. 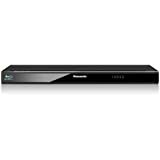 you can pick up very good, brand name blu-ray DVD players, packed with features and functionality, for less than $100 at the moment. If you have a modern television set - a nice big flat screen HDTV with 1080p resolution - and you're using a standard DVD player with standard DVDs to drive it, then you're not really enjoying the full benefit of your lovely big flat screen. Standard DVDs simply don't have enough storage capacity to provide the quantity of information needed to maximize your enjoyment of a big, modern TV set. That's where blu-ray comes in. Blu-ray DVD players use a blue laser instead of a red one to read the information from blu-ray discs. That's why it's called blu-ray by the way. The blu-ray discs themselves are multi-layered, and the combination of blue laser reading and multi-layer technology discs means that much more information can be stored on a blu-ray DVD. A typical blu-ray disc will store 5X as much data as a conventional DVD. That additional information can be used to drive your big flat screen a lot more efficiently. You'll notice a marked improvement in both audio and video quality when you make the switch to blu-ray. And there's never been a better time to change. Prices have dropped a lot over the last eighteen months or so. You will now find plenty of blu-ray dvd players under $100 available on the market. These aren't cheap, copycat imports from the far east. 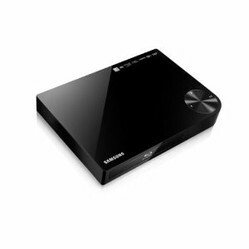 You will find some very well known brand name blu-ray players available for under the $100 mark. Some of them even have wi-fi connectivity (which is great if you don't want cable spaghetti in your living room). You can even find 3D blu-ray players selling for less than $100 these days. The market has just reached that tipping point where the technology has, for a variety of different reasons, become much more accessible and affordable. If you haven't tried blu-ray yet, then this is definitely the right time to dip your toe in the water. To be honest, you really need to experience the difference in quality between blu-ray and standard DVDs. You will be delighted when you see the improvement - and the bigger your TV, the more you'll benefit. Blu-ray discs are much tougher than standard DVDs. They're scratch resistant and even kid resistant! The additional storage space allows for extra features - alternative endings, "the making of", interviews with authors, directors, actors etc. Most modern blu-ray players will allow you to access the internet and stream movies from the web. Many will even let you access social sites such as Twitter, YouTube and Facebook. You will be able to play your existing standard DVDs on a blu-ray player (CDs too if you like). Time will tell - but there's always something new in the pipeline. The future belongs to blue lasers, that's for sure. I had no idea they came with wi-fi with so low prices. Who knows what will they offer in next stage? Ebook readers and tablet computers are very different animals. Which should you choose? A laptop cooling pad is a great way to protect both your expensive laptop computer and all the data that's stored on it. Extend your laptop's life with a laptop cooling pad.